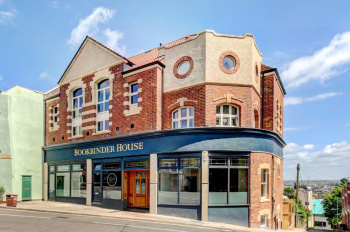 An exquisite and rather special 2 double bedroom (1 with en suite), 2 reception room penthouse 'loft style' apartment wrapping round the corner of this newly converted iconic building in the historic and central Kingsdown area. Offering an outstanding interior and truly breathtaking panoramic views across the city and the benefit of being within the Kingsdown residents parking permit area. A stunning and spacious (circa 1040 sq.ft.) 2 double bedroom penthouse apartment with breathtaking views. An exceptional 2 double bedroom apartment with roof top views across the city. 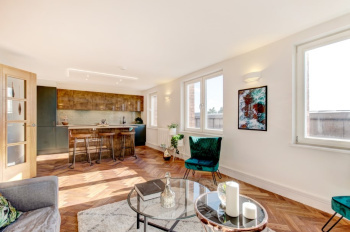 One of the first apartments to be released in this new development of 6 luxurious apartments and two brand new 3 storey houses, produced by local developers with exacting standards and attention to detail. 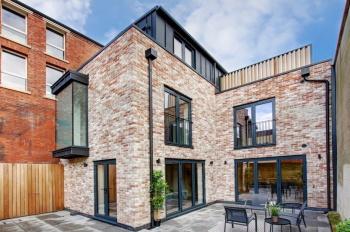 This sympathetic renovation of this well-located period building has a beautiful blend of the latest contemporary interiors whilst retaining the essence of this Edwardian industrial building. 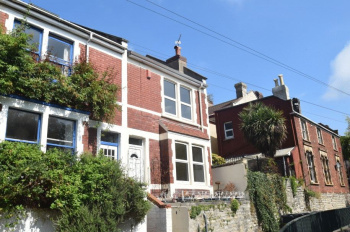 Prime location in a sought after historic area, towering above the city. These stylish apartments are nestled above the BRI hospital just a short stroll down to the city centre, Bristol university, Park Street and the Triangle, whilst also being within easy reach of Clifton Village, Whiteladies Road and the harbourside. The perfect location to enjoy the city.